I am happy to announce that I will be opening up a Weightlifting facility in Marietta, Georgia inside of CrossFit Dwala. Open gym hours , personal training, and small group training sessions will be offered. Voodoo Weightlifting, VW, coaching is currently taking place inside of CrossFit Dwala. VW is comprised of 4 training platforms, a power rack, and a set of Jerk blocks. Each platform is equipped with a complete set of Eleiko bumper and change plates, an Eleiko Men and an Eleiko Women’s bar. If you’re currently looking for Weightlifting instruction, whether it’s being taught from complete scratch, or you need to correct some bad habits, fill out the form below and I will be happy to work with you. Carrying out John Coffee’s wishes, a Coffee’s Gym Weightlifting facility will not be reopened. In honor of John, the competitive team will continue to compete. 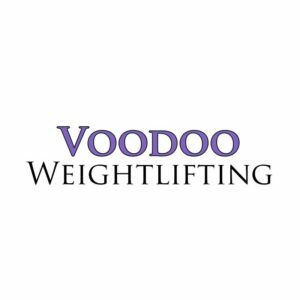 Voodoo Weightlifting is a term coined by Weightlifting coach, Bob Takano to characterize John’s coaching style, so I found it to be a fitting name for a Weightlifting facility. I will be launching the Voodoo Weightlifting website in May and more information will be posted there. Thank you for your support over the past year, we will keep you updated as we go!